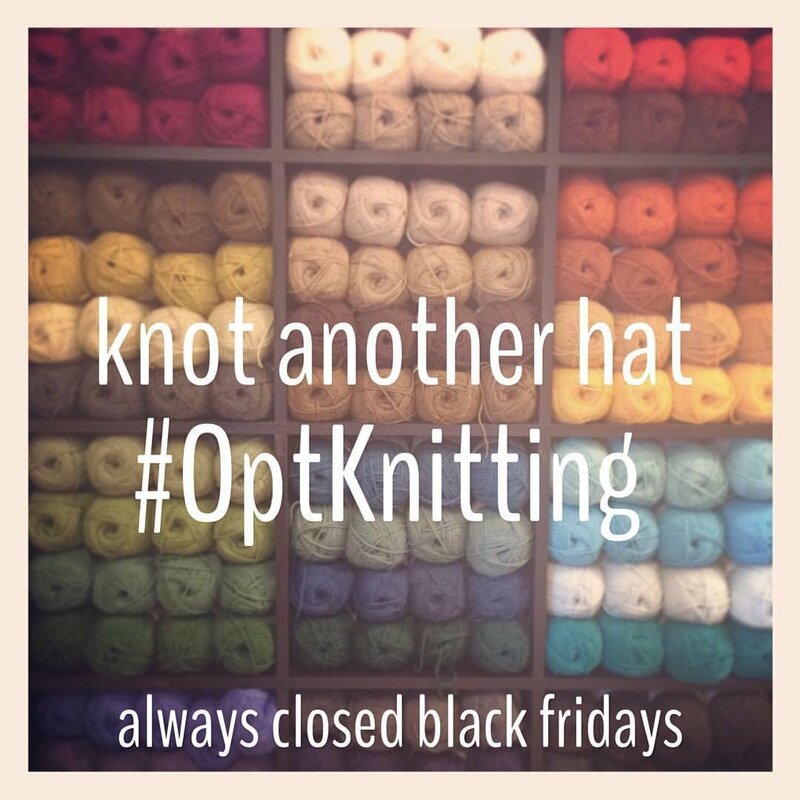 Closed for Black Friday: #optKnitting! Here at KAH, we have always been closed on Black Friday. Instead, we choose to #optKnitting! We'll see you on Small Business Saturday!